ARE WE READY TO PARTY??? 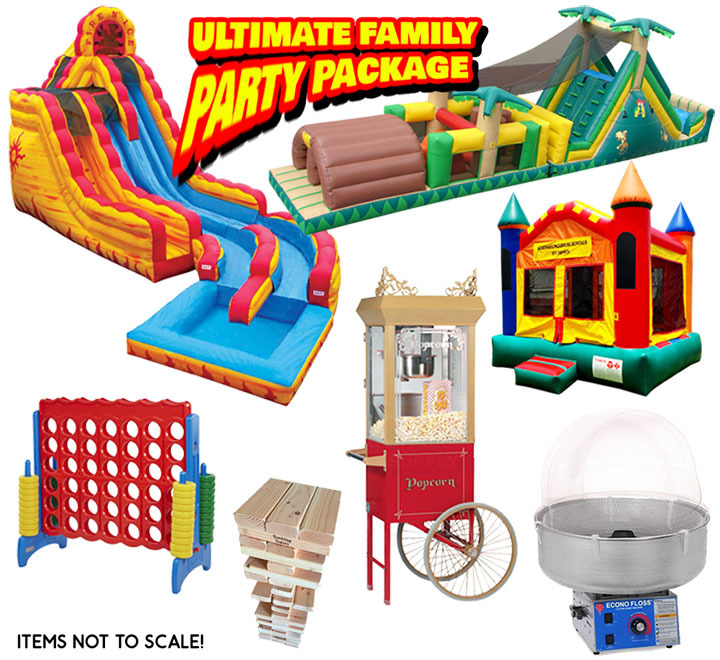 Welcome to the ULTIMATE FAMILY PARTY PACKAGE! This package is great for all ages from 2 to 102, and will turn your location into a veritable amusement park/carnival! This package features some of our all-time most popular family rental items. 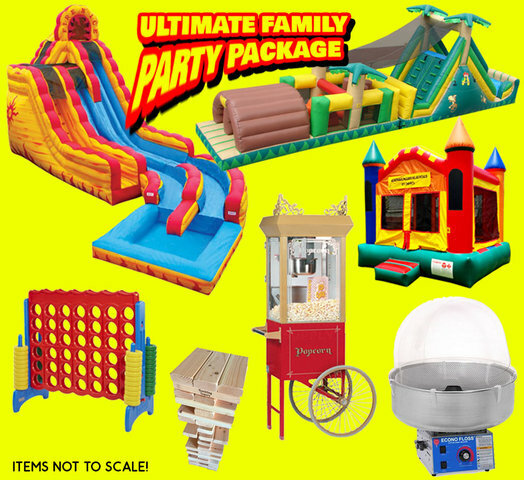 This party package combines three of our most awesome inflatables; the Fire'n Ice Dual Lane Water Slide (dry version avilable for Winter months), the 40' Backyard Rush Obstacle Course for gladiator games style head-to-head action and the Bouncy Castle which is the quintessential moonwalk and appeals to kids of all ages. But wait, there's MORE! We've also included two of the most popular concessions and two of our most popular party games! Swaps available, please call to modify this package.